What is our window cleaning in Belsize Park all about? We are a company of window cleaners, ready to restore the look on your windows at home or an office building. We can easily wash any number of windows on any type of property. Whether you are having difficulty reaching the outside part of windows, or you just want someone to address this annoying, Fast Window Cleaning London is the company to call. Share the details on 020 3322 8261 and we will arrange a visit by our professionals. We will bring all the tools and equipment necessary to access your windows and get them in pristine clean shape. Thanks to our experienced cleaners, the job will be done in no time at all. You can be that the final outcome will be so great that you will want to have our services again in the near future. It is very simple – just contact us on 020 3322 8261. 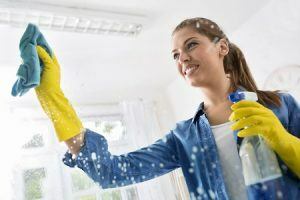 Our representatives will discuss the details of the job, including location, type of windows you want us to clean and your preferred time and date for the execution. It is a simple procedure which will not take you long at all! We value your time greatly, so we will not introduce meaningless delays and endless details that you need to address. Instead, we will be quick to guide your through the booking procedure so that our window cleaners can arrive at your doorstep as soon as possible. You will never regret your decision to book our window cleaning in Belsize Park! One of the northwest areas of London is Belsize Park. The name of the area is derived from French, and loosely translated means ‘well situated’. Nearby localities are Camden Town, Hampstead and Primrose Hill. Many people visit Belsize Park for the numerous restaurants, bars, and pubs all across the area. However, those who prefer a walk outdoors also come here, as Hampstead Heath and Primrose Hill are both within walking distance of the area. During WWII, a large underground shelter was built in the area. You can still find its entrance near the tube station of Downside Crescent. Book a window cleaning in Belsize Park with Fast Window Cleaning London by calling us on 020 3322 8261.